Select one of our hosting packages to start your mojoPortal 2.7 site. All of our hosting packages fully support the ability to host mojoPortal 2.7 sites. Why you wait longer? mojoPortal is a free open source content mangement system aimed at providing an easy way to build advanced websites. mojoPortal will work for you even if you don’t know HTML or CSS. Easy to learn, easy to use, easy to extend. If you know how to make an ASP.NET UserControl then you already know how to implement a feature that can plug into mojoPortal. Get results quickly by building your next web site or application using mojoPortal. We are 100% fully support on windows platform. 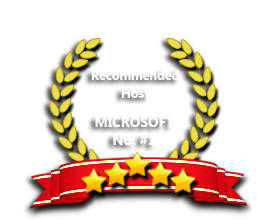 Our windows hosting is compatible with the mojoPortal 2.7 hosting management and collaboration application. Our Windows Cloud Hosting fully supports mojoPortal 2.7 hosting. You are more than welcome to try our Free Windows Cloud Hosting before you decide to buy. You can get your Free Cloud Windows hosting account up and running within the next few minutes.